I have been searching ideas and inspiration for the dance academy, and I came across a few very cool things. 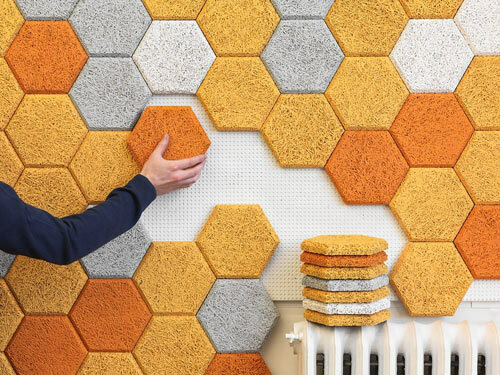 These acoustical tiles in a honeycomb pattern caught my eye. 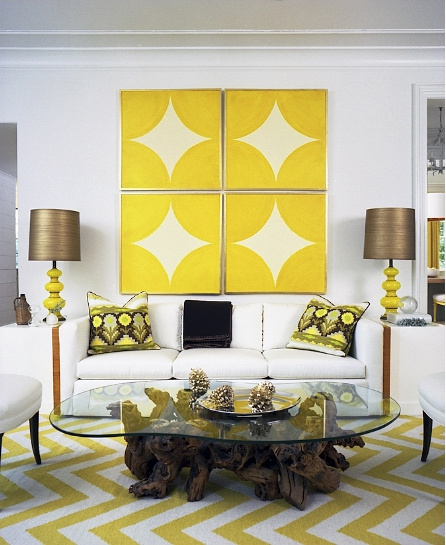 The colors intermixed with one another create a great pattern and bring texture to any space. In a dance academy, acoustics are an important part of the design. This product by Form Us With Love is one of the cool things that I stumbled upon this evening. One of the biggest decisions that I need to make when it comes to FF&E is the color scheme. Once I know what colors I will incorporate into the design I am able to then get inspired about furniture and other finishes. It also helps me to contemplate the overall feeling that I want to bring to the dance academy. The chartreuse pop of color communicates to the concept of energy, motion and movement that I need to implement into the design. The warm wood tones and bronze accents bring warmth and charm to this space. The white walls allow the other aspects of the room take center stage, which is exactly what I want for the dance academy. The dancers are to BE the main attraction and the surroundings will be neutral in order to allow them to stand out. 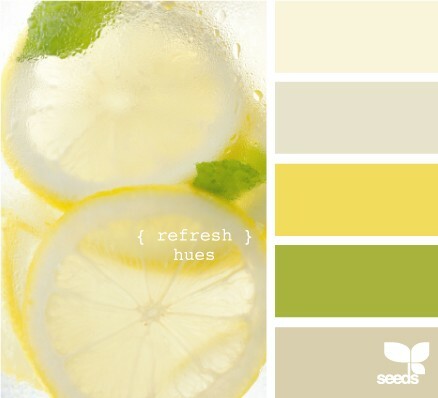 Warm greys, creams, and pear greens could also be used with the chartreuse accent as a successful color scheme for the academy. 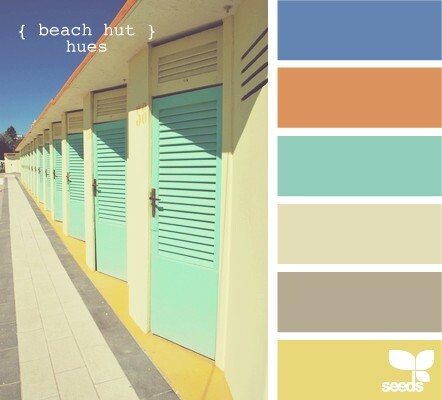 Here is an example of the last discussed color scheme. looking forward to seeing what you put together. love your color choices! this will be beautiful, can’t wait to see it! 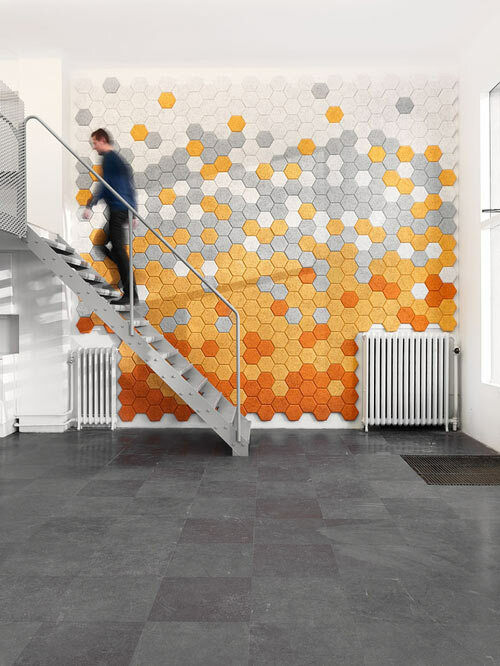 I love the acoustical tiles!